The pressure regulator generates an accurate pressure or vacuum that can be used to drive a liquid flow at a stable flow rate. The 8-channel, highly integrated pressure controller has built-in pressure/vacuum pumps, solenoid valves, pressure regulators, a rotary valve, and pressure sensors. 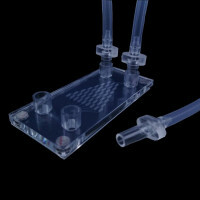 The system is able to simultaneously generate up to 4 independent channels to supply either positive pressure or vacuum (1 independent channel supplies 2 identical pressure outputs). 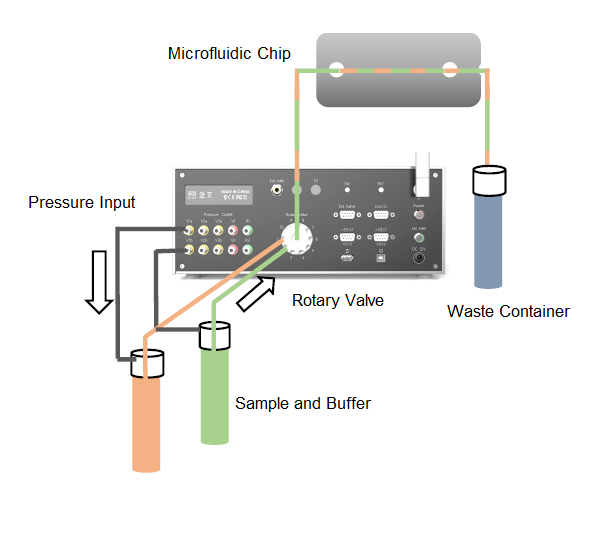 This system can work as a standalone machine controlled by the front buttons and knobs, and it can also be controlled by the included computer program communicated through a TTL serial communication interface. Easily communicate with other instruments and commonly used devices such as NI-­DAQ modules, CCD cameras, spectrometers, electrochemical station, etc. for monitoring or feedback control. 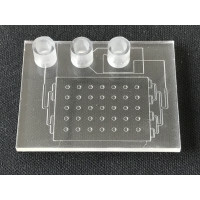 This microfluidic chip is mainly used for droplet generation and made from standard COC material wit.. 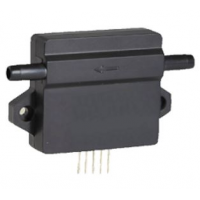 The ASLF-25 liquid flow sensors are based on the micro-machining and packaging technology. Th.. The pressure regulator generates an accurate pressure that can be used to drive a liquid flow at a s..
IDT FS1012 & FS2012 Flow Sensors measure flow rate of gas or liquid using the thermo-transfer (c..
Tefzel (ETFE) Low Pressure Tee Assembly can handle a pressure rating up to 500 psi (34 bar). It is d.. 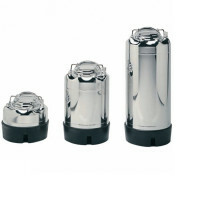 This stainless steel pressure vessel is used to propel filtration fluids through pressure holders by..